On the average, I think it felt even more crowded than the day before (it was 2000 people both nights and it was sold out). Come to think of it, according to the data on Search&Restore website, the capacity of Zinc Bar is 250, 800 for le Poisson Rouge, 345 for Sullivan Hall (although I never saw that being at capacity),which totals 1395 people, theoretically. That would leave around 300 each for Kenny’s Castaways and the Bitter End. So it’s pretty understandable that the crowds were all over the place. Didn’t hear enough of it to form an opinion. And to be honest, I thought Sullivan Hall wasn’t that appropriate a venue to hear this kind of music anyway as the sound of the room is more suitable for rock (bass is heavy, not so clear overall). 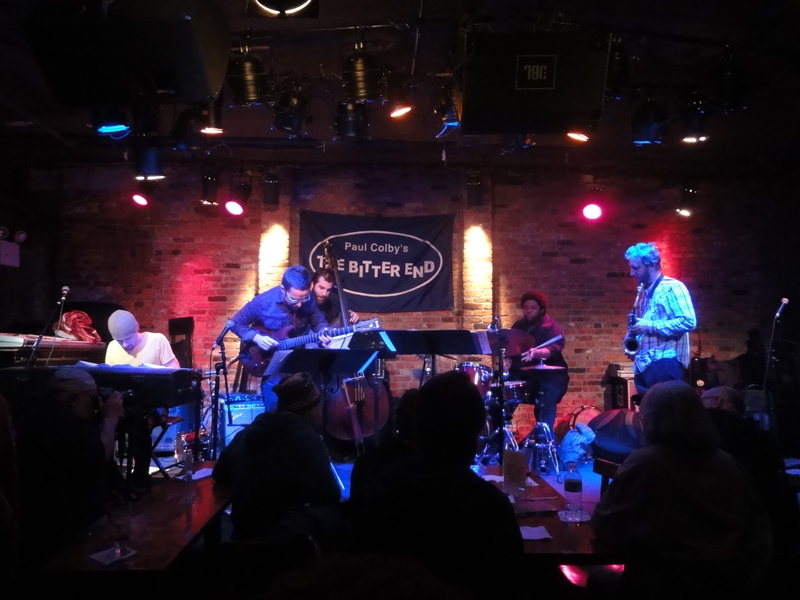 On the average, the venues that have jazz in New York normally have really great balanced sound (rooms are dry and not emphasizing any particular frequencies). So I’d rather hear Fabian Almazan and Strings somewhere else. Another band I was looking forward to hearing – but somehow the music and the playing didn’t touch me this time. That one was great! 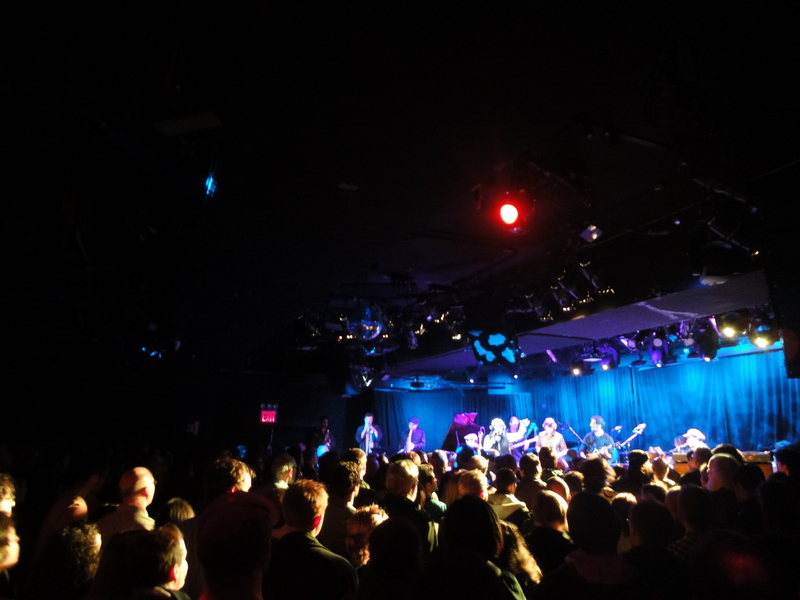 The only drawback was that Le Poisson Rouge was packed as hell. Marcus Gilmore, once again, sounded great. 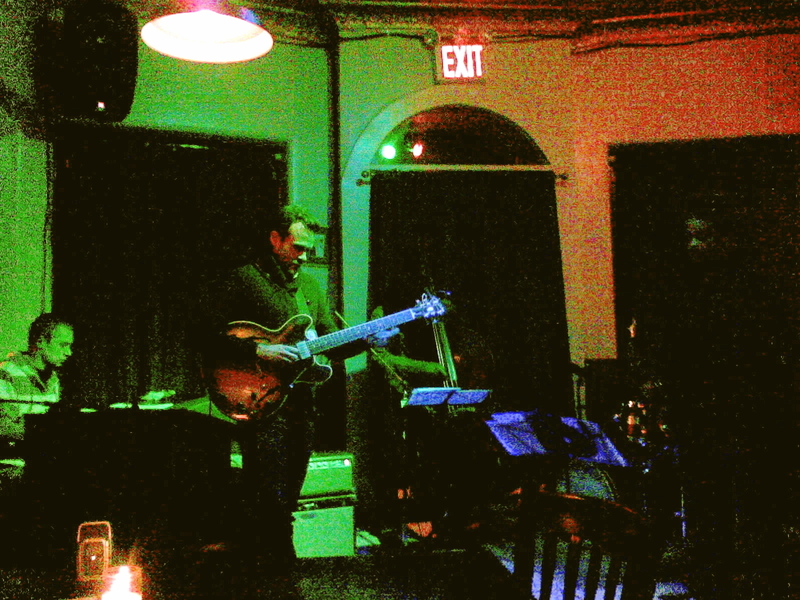 And so did Stephan Crump on bass and Vijay himself. Looking forward to hearing them again soon, preferably in a bit more relaxed environment. The Bitter End was packed as hell as well, but I managed to squeeze through the mob to the other side of the room, so it was quite cozy. I also found the music to be charming somehow, although it probably wouldn’t have been a jazz purist’s cup of tea (again, this conflict between the rhythmic worlds of jazz and folk). Allison Miller had loads of great musical ideas, enjoyable grooves and it was refreshing to hear her creative musical vision pouring out of the drum set: she treats the instrument in quite a unique way. They also had a nice energy as a band and were clearly enjoying what they do – it is always incredible to witness how much that actually adds (regardless of the actual music). That was the highlight of the day for me. Great musicians, great band! 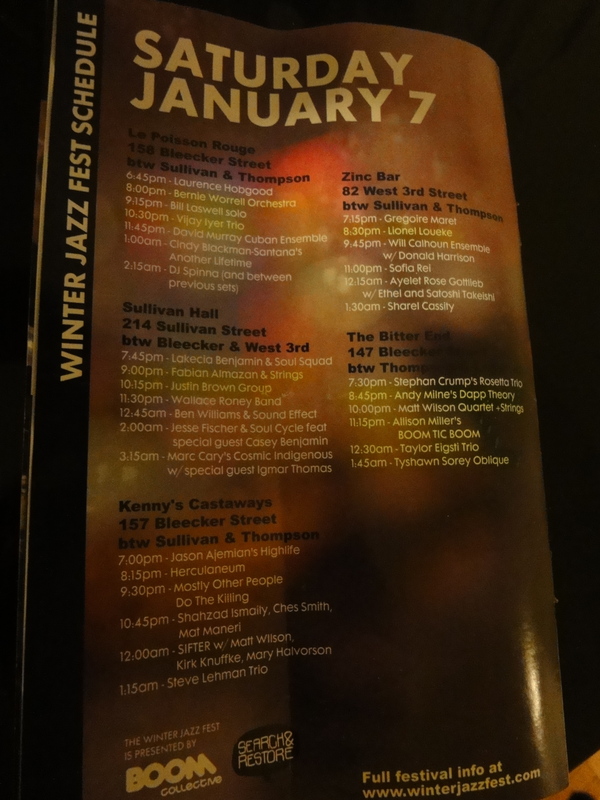 First, they played a few originals, then a pretty impressive version of Wayne Shorter’s Deluge. 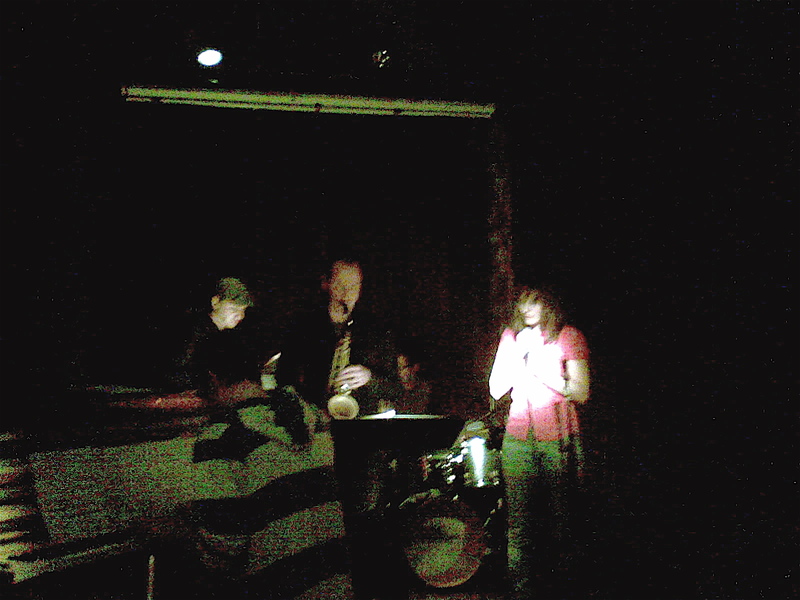 Tenor player Dayna Stephens stepped up as special guest for (his arrangement of) Joe Henderson’s Black Narcissus. For the last tune, vocalist Becca Stevens joined for a tune written by her and Eigsti, Magnolia. What impressed me most in the concert was Eigsti’s almost McCoy Tyner kind of energy in his melodic lines. 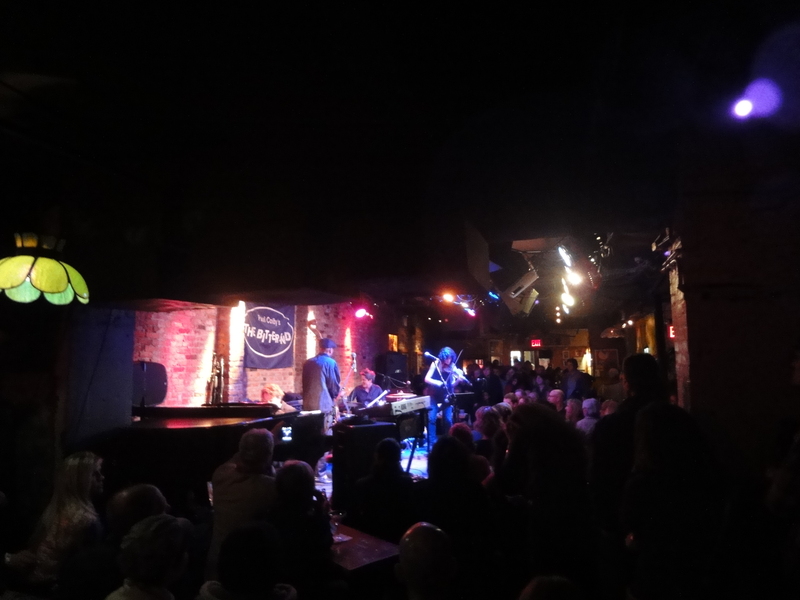 It was also great how he made musically meaningful use of textures of the actual instruments, combining the more intense sound of the piano (even more noteworthy as the actual piano seemed to be rather crappy) and the mellow sound of Rhodes. Harish Raghavan’s command of the bass was almost scary. 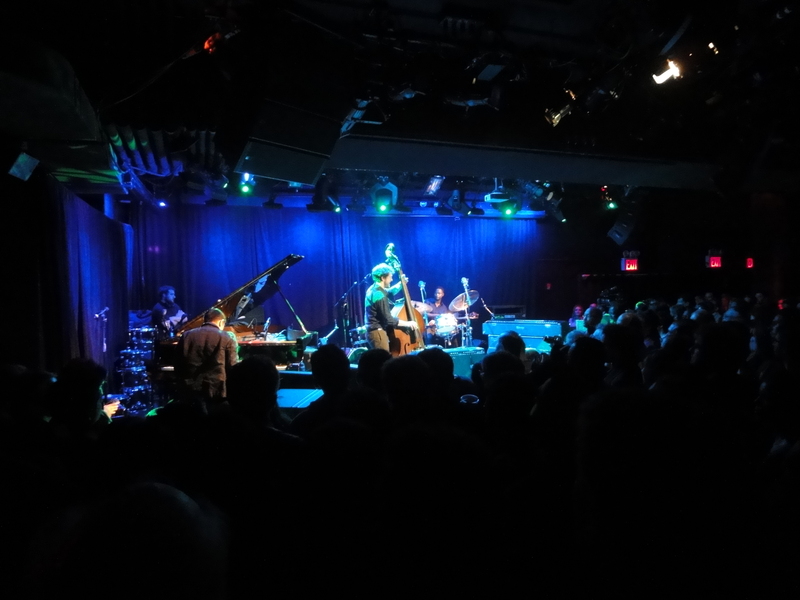 And Eric Harland was as great as ever, or better. Although that was one of the late-night sets (starting at 01:45 AM) and many had departed, but there seemed to be quite a few musicians around to see this one. What bothered me about this one, though, was how they (not Tyshawn though) seemed to be struggling with all the reading. Most players were so fixed on their sheet music that it looked almost humorous. Although this kind of intellectual and many-faceted compositions seem to be one of the interesting developments in jazz and one probably can’t really play music like that by heart, is reading music really supposed to be something that jazz musicians should demonstrate in such extreme ways? I feel that lot of the effortlessness and grace that one would expect from the live music gets lost. 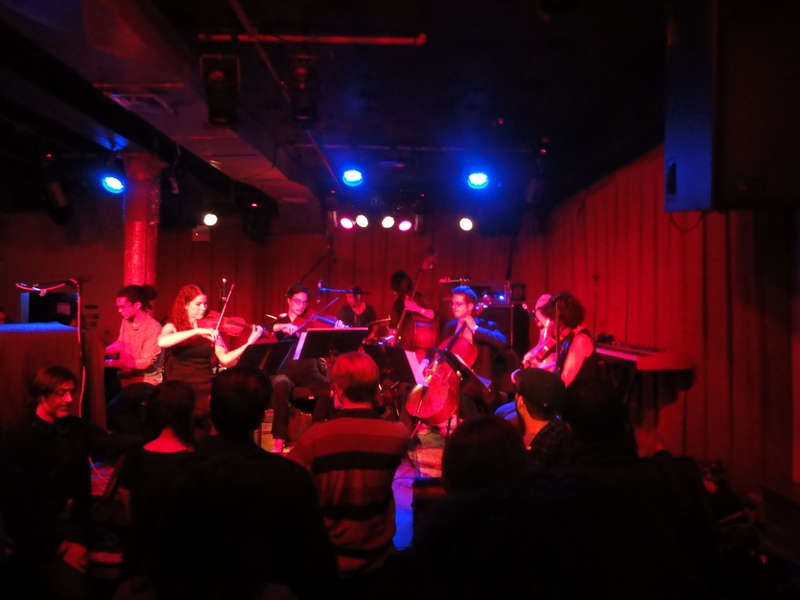 All were great musicians (heard some spectacular solos and overall amazing musicianship), though, and it was kind of fun to try to process and make sense of the load of musical information presented (giving an almost sport-like thrill…). A Search & Restore event with two really exciting bands! On that snowy Sunday night. I was very glad I made it out there. 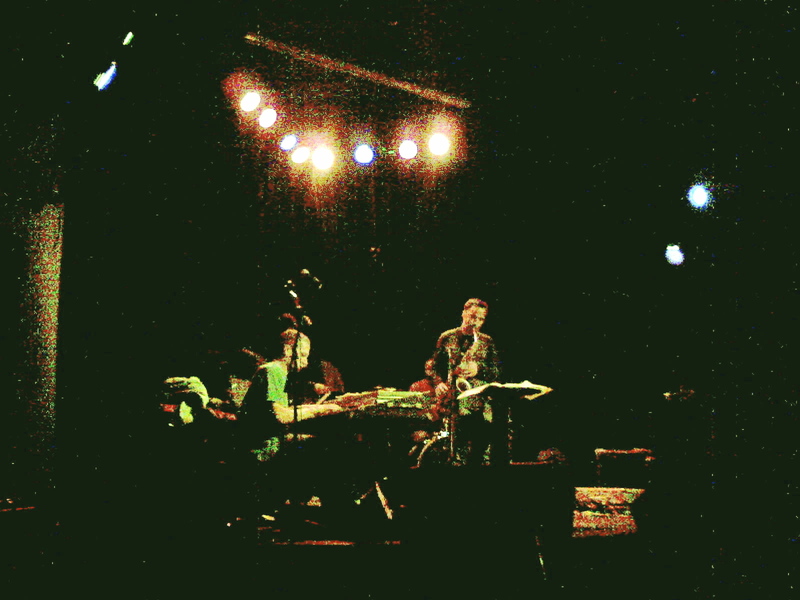 First, John Escreet featuring Dave Binney on alto sax, Nasheet Waits on drums and Joe Sanders on bass. I was quite late for it, but what i heard was just incredibly good! Can’t get enough of Nasheet Waits! They were all really killing, totally love that band. 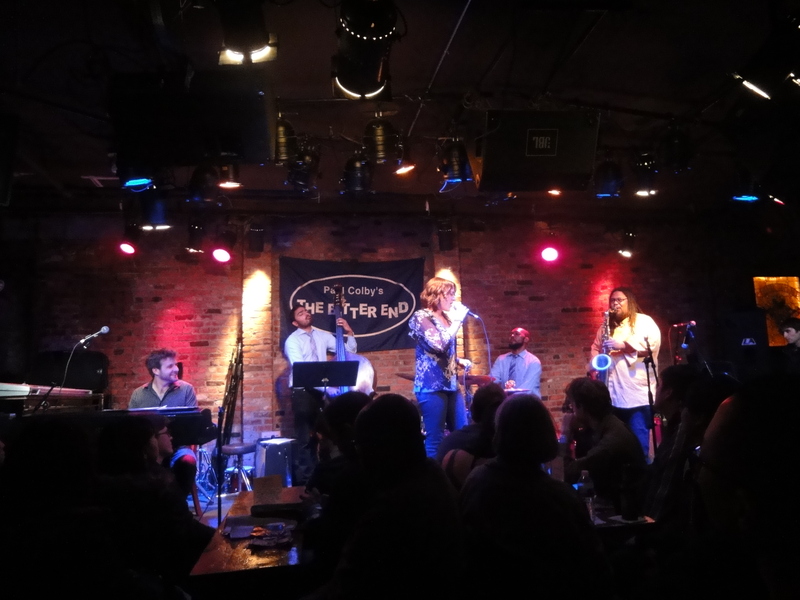 And then – Taylor Haskins & Recombination featuring Ben Monder on guitar, Henry Hey on keys, Todd Sickafoose on bass and Nate Smith on drums and a special guest appearance by Samuel Torres. Great music with a really hot hot luscious groove, I loved it. Bad news is that I broke my camera. Taking pictures with Nokia 7373 again.. Really hope that not for long. Another Wednesday that had too much great jazz to choose from. 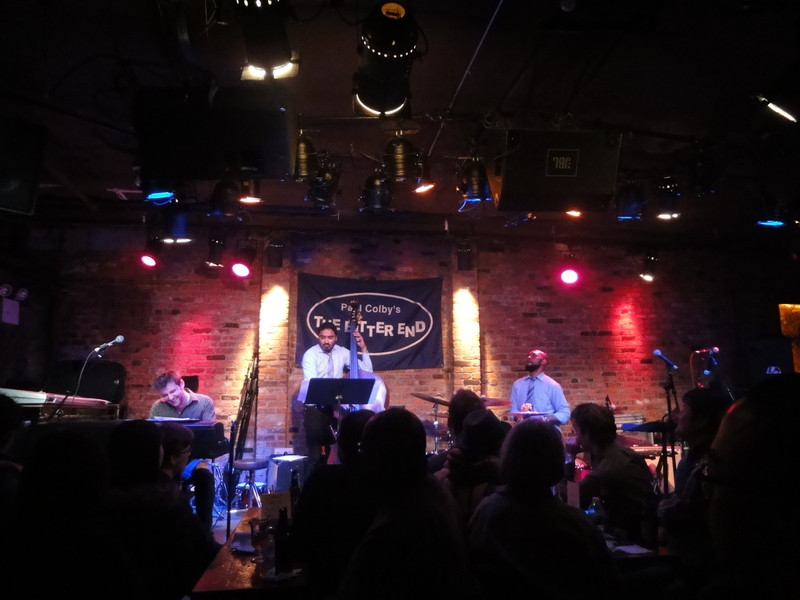 I thought I was going to be working that night and not see any of it, but by some weird coincidences I actually made it to John Escreet Project concert at Jazz Standard. I was really happy about it since they only got one night booked there. Heard both sets – was really good! Not too many people were there for the first one, though. John Escreet (piano, compositions), David Binney (tenor, effects), Ambrose Akinmusire (trumpet), Zack Lober (bass), Nasheet Waits (drums). I loved the compositions! Perfect balance between improvisation and composition, I was thinking. And so much interplay going on in the band – I know trios can often be so dynamic and full of interaction, but I don’t think I’ve ever heard so much active awareness of space in a quintet. Was really organic, dynamic and well balanced. 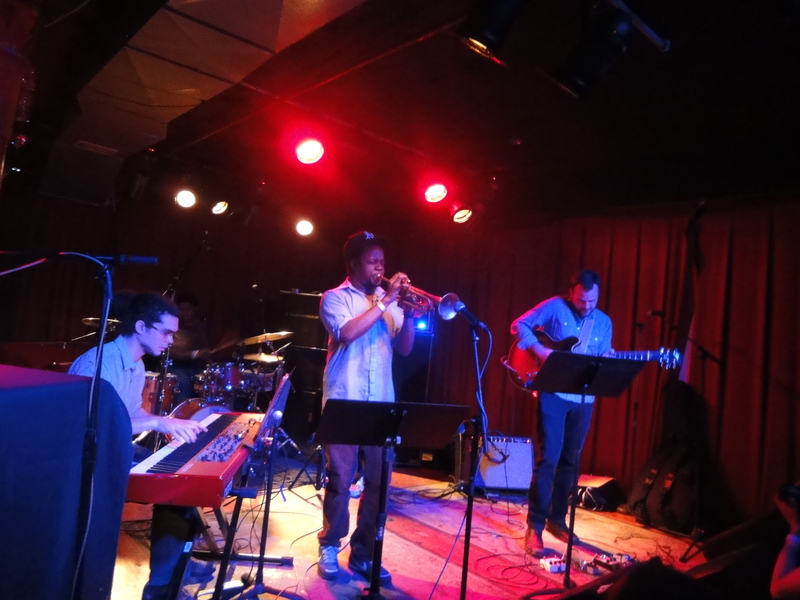 Great musicians, that’s why, I guess :D. Found myself another favorite trumpet player – Ambrose Akinmusire. 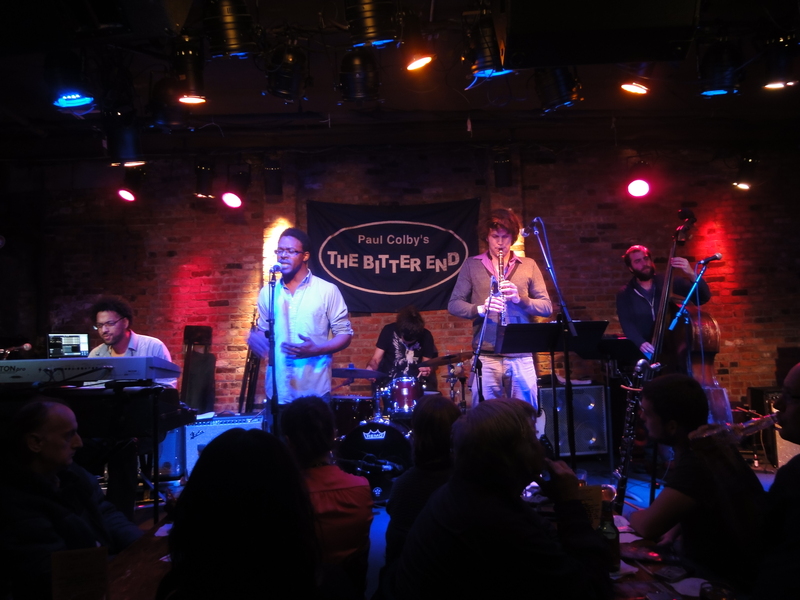 And another thing – I happened to sit next to Adam Schatz and found out about this really cool website he’s doing – http://searchandrestore.com/ A great one for New York Jazz, really! Glad I found it 😀 Tried to make it to Nir Felder’s gig @ Smalls that night as well, but was too late.